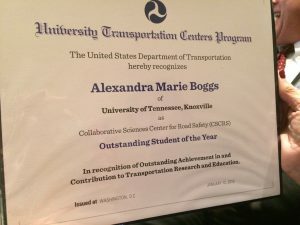 On January 12, 2019, the 2018 Collaborative ​Sciences ​Center ​for ​Road ​Safety Outstanding Student of the Year, Alexandra “Ali” Boggs, was honored at the Council of University Transportation Center’s 28th Annual Outstanding Student of the Year Awards ceremony. 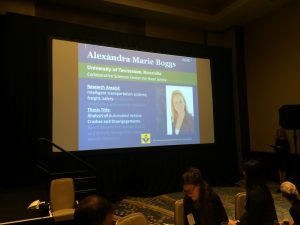 The ceremony was held in conjunction with the 2019 Transportation Research Board Annual Meeting in Washington, D.C. Boggs is expected to earn her doctorate in Transportation Engineering from The University of Tennessee, Knoxville, in July 2019. CSCRS selected Boggs as its outstanding student as part of a U.S. Department of Transportation program honoring students from University Transportation Centers who have demonstrated achievements in academic performance, research, leadership, professionalism and potential future contributions in the transportation field. Boggs’s main interest is in two critical transportation safety topics: automated vehicle crashes and commercial motor vehicles. Her research includes examining self-driving vehicle crashes and disengagements and commercial vehicle parking shortage. The title of Boggs’s dissertation is “Analysis of Automated Vehicle Crashes and Disengagements.” A key accomplishment for Boggs in 2018 was managing the development of a week-long, CSCRS-funded crash reconstruction camp for rising 8th and 9th graders called CSI: Crash Scene Investigation. Ali with her parents at the CUTC banquet. serves as a graduate teaching assistant and research assistant. 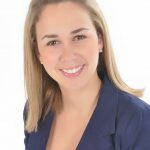 She earned a master’s in civil engineering from the Florida Institute of Technology. Recently she served as an engineering student trainee in the Office of Highway Safety at the National Transportation Research Board. Boggs has co-authored multiple journal articles and conference papers and given oral and poster presentations. 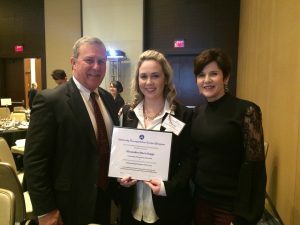 She has earned several honors including the University of Tennessee Chancellor’s Fellowship and Lifesavers National Conference Traffic Safety Scholarship.